An anti-icing material can be created by mimicking one of nature’s best known performances superhydrophobicity that is observed at many plant leaves. The anti-icing properties of a superhydrophobic surface depend on the surface morphology as well as the surface tension of the substrate. This implies that both the chemistry and the topography of the anti-icing coating material are important. Therefore, the relationship between the anti-icing properties and the morphology of a superhydrophobic surface should be understood and the study has to be extended beyond the bio-inspired superhydrophobic properties of the materials to similar properties toward ice. 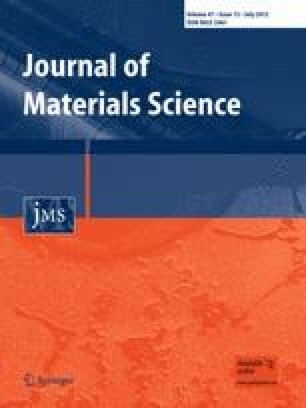 In this research, fluorosilane-treated superhydrophobic textile nonwoven fabric is prepared via wet-processing, and the anti-icing properties of the surface are observed and compared to those of three controls: an untreated fabric, a fluorosilane-treated smooth surface, and an untreated film. In order to evaluate anti-icing properties of superhydrophobic surfaces, super-cooled water was dropped on the surface of the prepared superhydrophobic fabric and all three controls. In addition, water drops were deposited on a superhydrophobic surface and the controls, and then the samples along with water drops were placed in a freezer to make the water drops completely freeze. After the samples were removed from the freezer, they were placed on a plate inclined at 45° to compare the ice removal process of the superhydrophobic surface with those of the controls. It was found that a superhydrophobic surface, which was created by combining low surface energy and micro/nano rough structures, could provide anti-icing properties to the surface. This material was partially sponsored by the US Air Force Research Laboratory (AFRL, contract number FA8650-07-1-5903) and the Defense Threat Reduction Agency—Joint Science and Technology Office for Chemical and Biological Defense (DTRA–JSTO, grant number HDTRA1-08-1-0049). The U.S. Government is authorized to reproduce and distribute reprints for Governmental purposes notwithstanding any copyright notation thereon. I would like to express my sincere appreciation to Mr. Stephen Szczesuil in the US Army Natick Soldier Research, Development, and Engineering Center for providing various hydro-entangled nonwoven materials to support my research. Last but not least, I want to thank Dr. Jeffery Owens in AFRL, who introduced me to a whole new world of military textiles and inspired me by sharing his knowledge and experience.